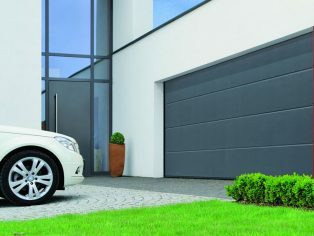 The Great British Winter with temperatures well below freezing can have real implications for homes and garages. Heating bills tend to go up, but savings that could be made from heat loss from the garage are often overlooked. Garador’s premium sectional garage doors help to reduce the amount of heat lost through the garage, with U-Values down to 1.30 W/m2K. They are also a great choice for garages where the contents need to be kept warm and dry or the garage is used as a home office or gym. Each door is constructed from sections which are 42mm thick and filled with highly insulating PU foam, as well as rubber seals around the door. They have also been designed to look great, in a choice of 4 designs and over 18 colours.